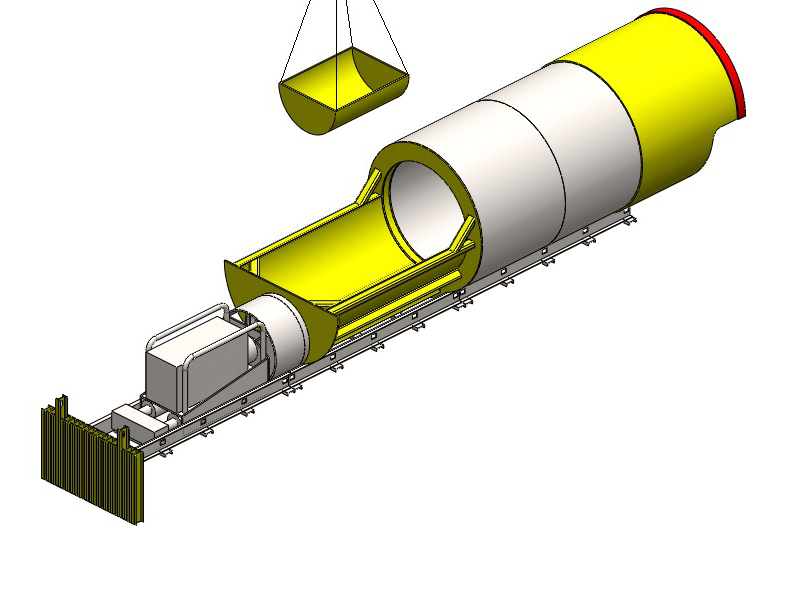 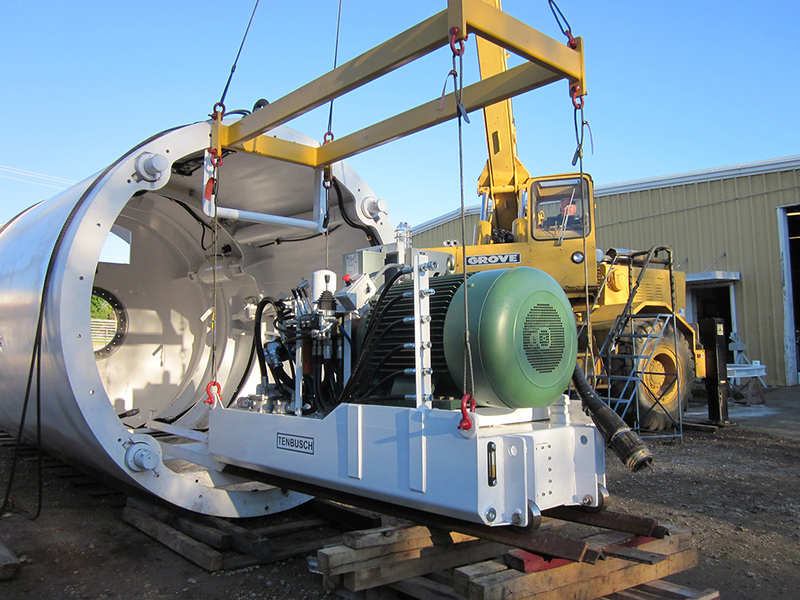 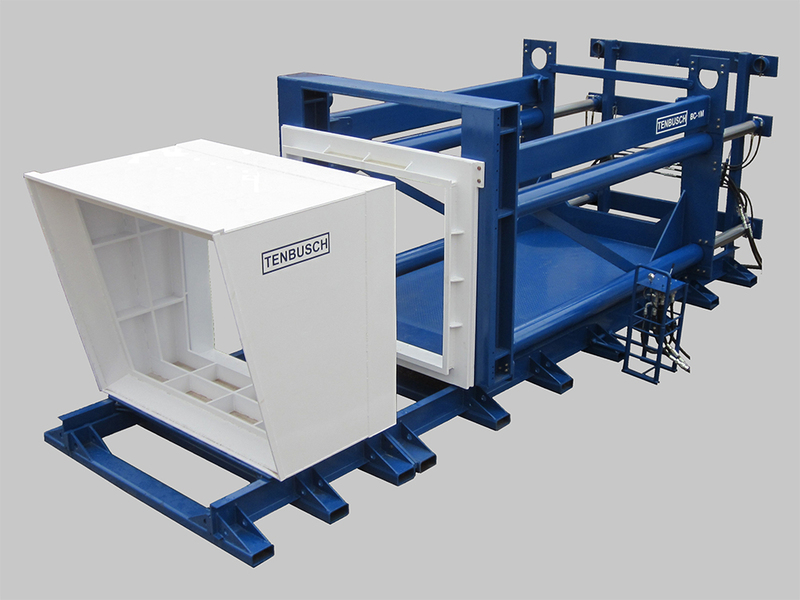 Delivered as stand alone unit or part of a tunneling system package. 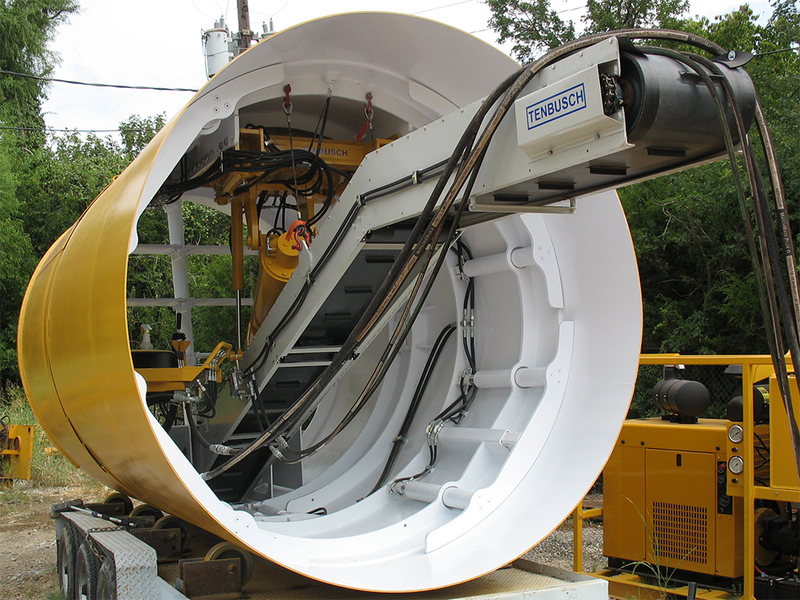 We manufacture the auxiliary equipment needed for a complete tunnel boring system - conveyors, muck carts and track, underground lubricant systems, thrust walls, and external hydraulic power units (HPUs). 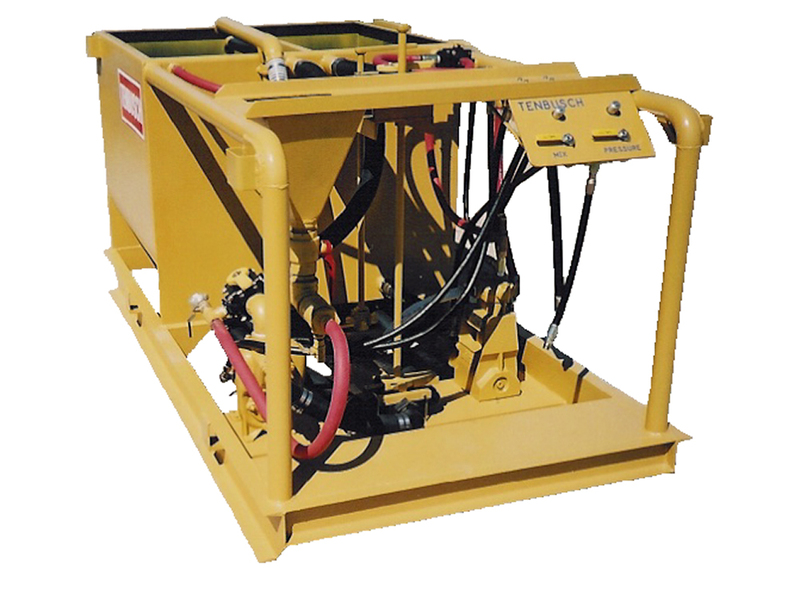 Available as stand alone components, or delivered as a complete system. 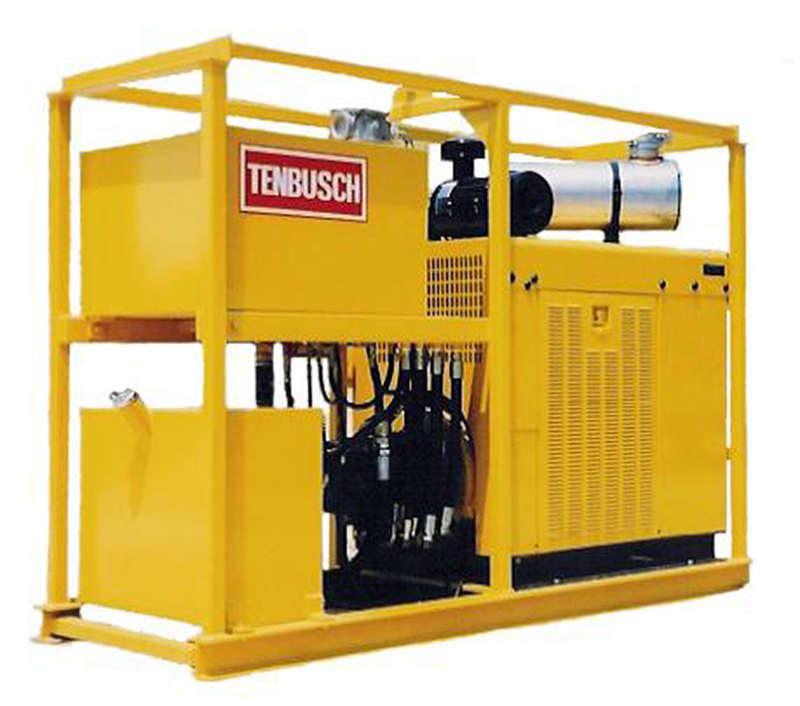 All equipment is hydraulically powered. 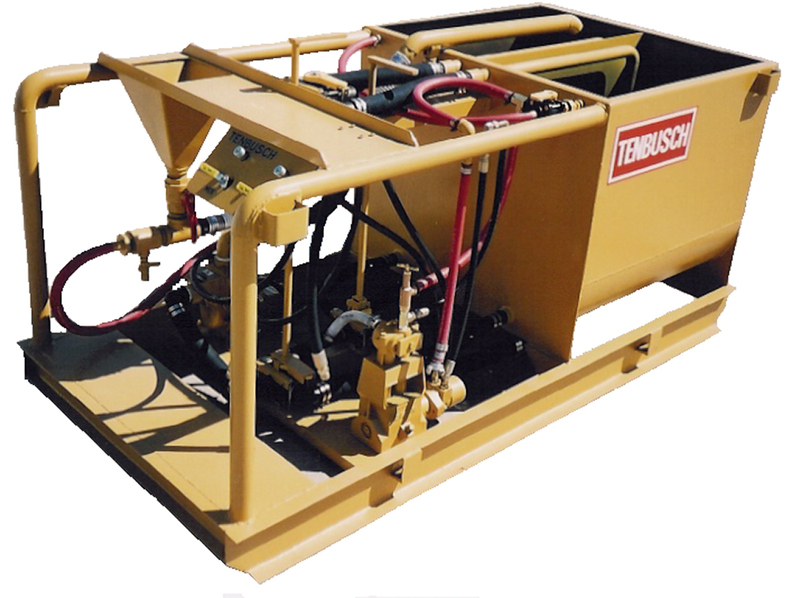 We manufacture the auxiliary equipment needed for a complete box-culvert jacking system - shields, excavators, conveyors, muck carts and track, hydraulic power units (HPUs), underground lubrication systems, and thrust walls. 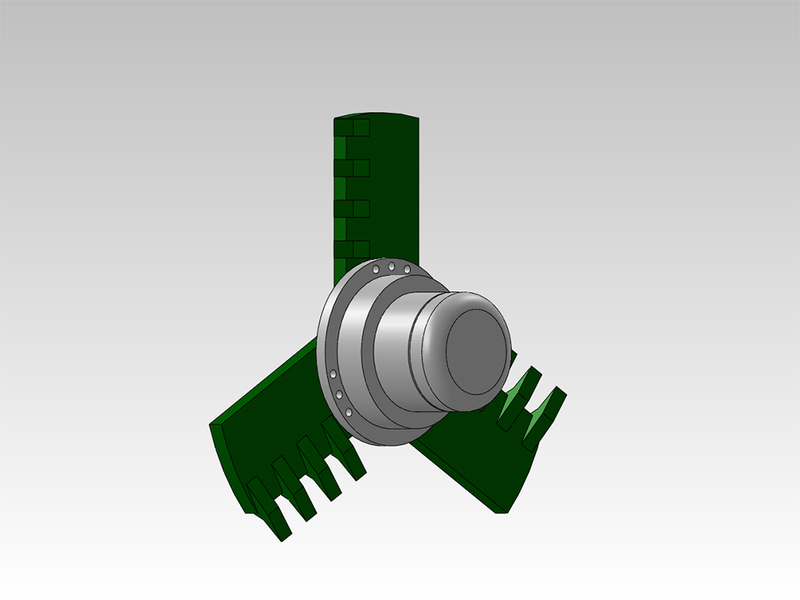 Available in single direction or dual push direction units. 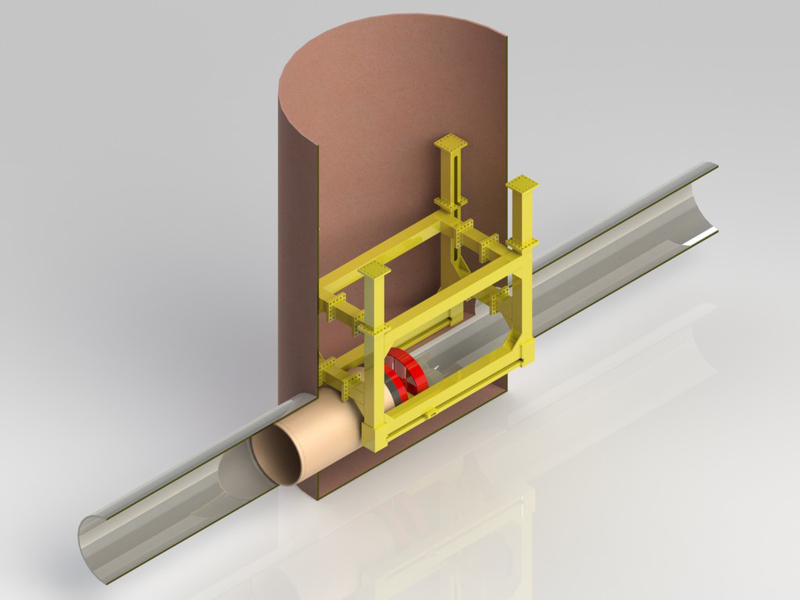 Dual push direction units allow pipe to be pushed during both extension and retraction of the machine. 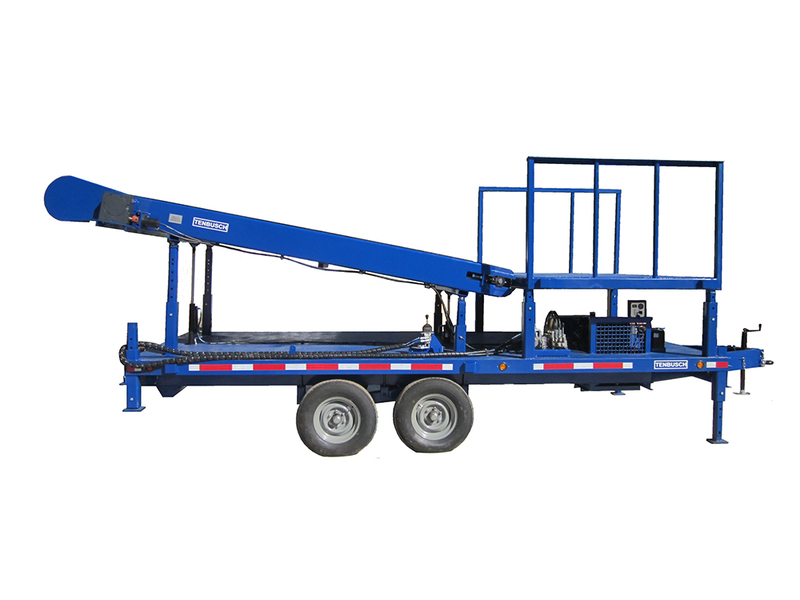 This maximizes installation efficiency and enhances productivity. 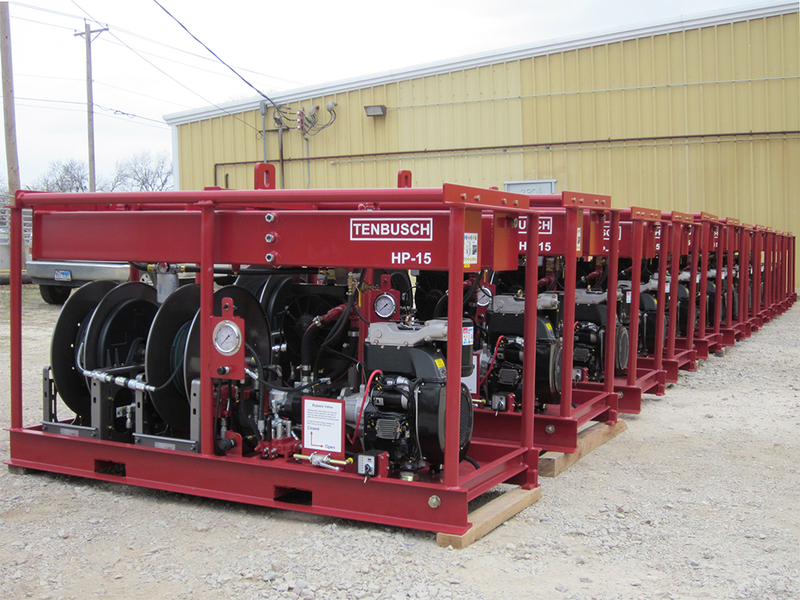 We manufacture all the auxiliary equipment needed for a complete sliplining system - pipe shields, pipe mandrels, pipe adapters, and hydraulic power units (HPUs). 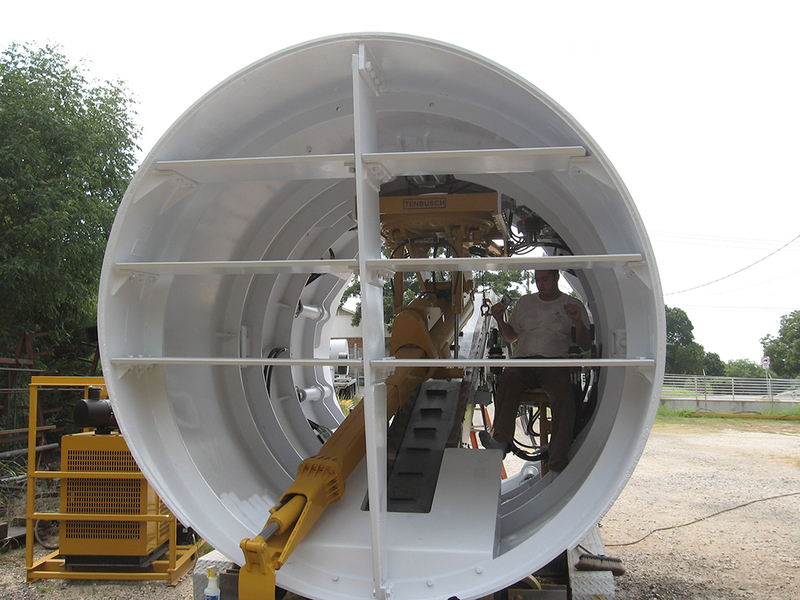 We manufacture heavy duty pipe carriers for installing pipelines in large existing lines or tunnels. 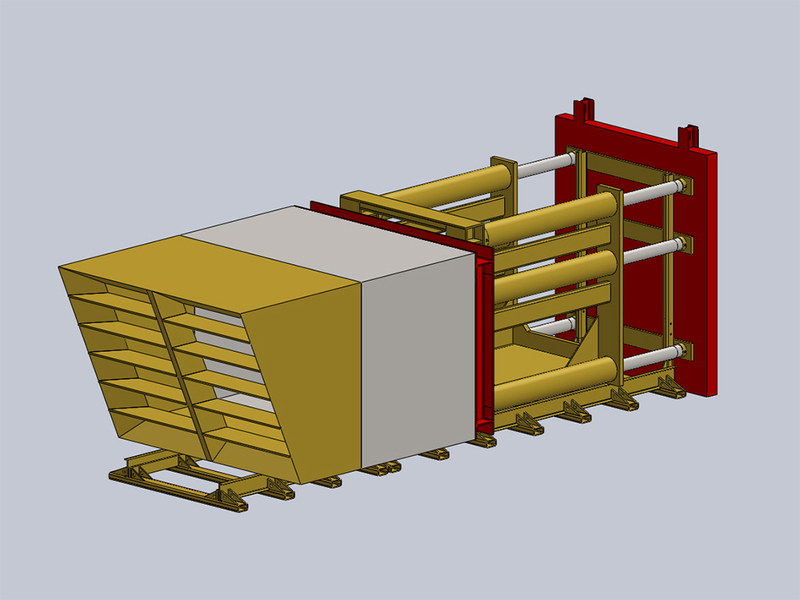 Use this a resource for your research into pipe carriers for your applications. 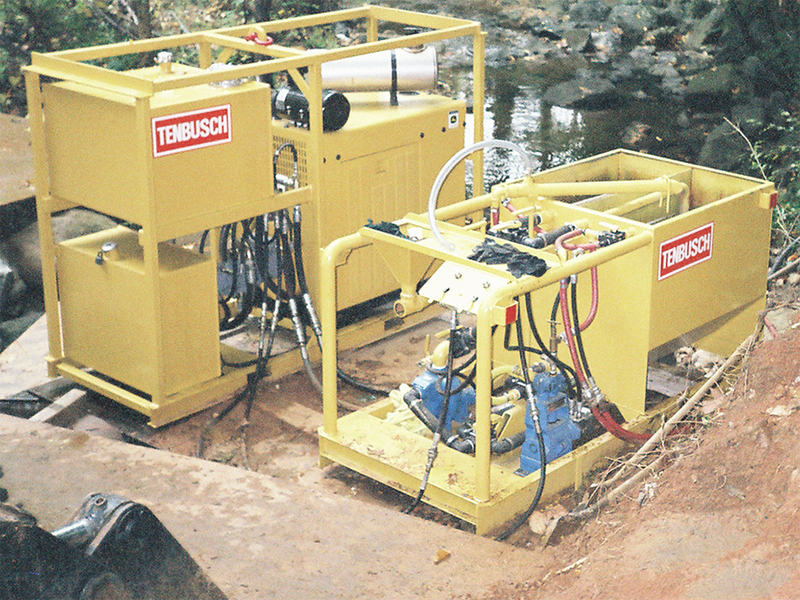 High capacity hydraulic reservoirs matched to underground equipment applications. 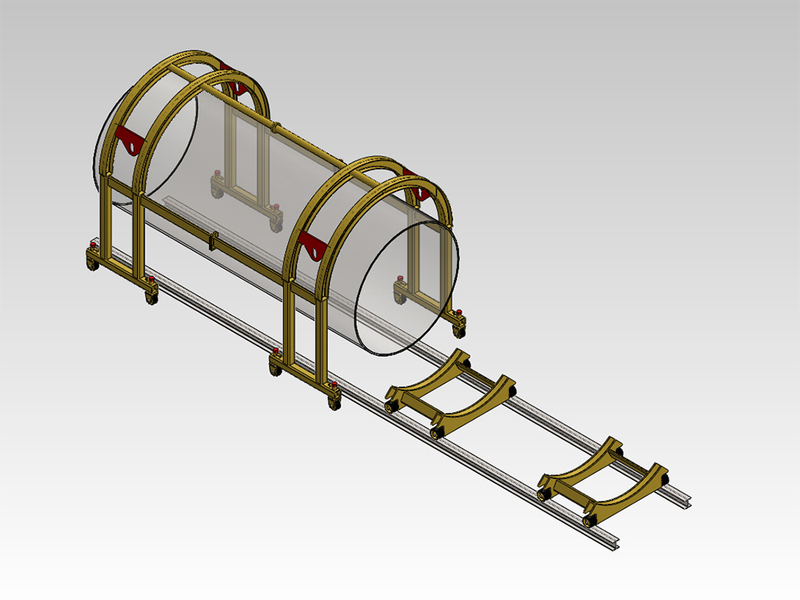 You can choose from preconfigured HPU models or custom designs. 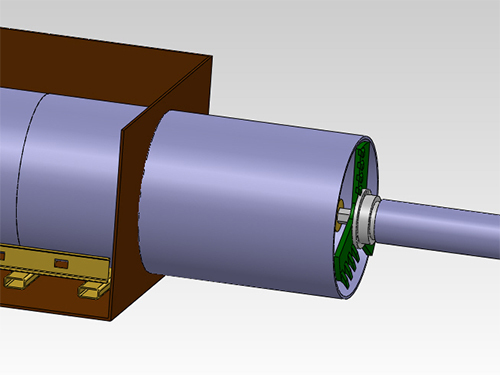 Controls to match flows to work requirements. 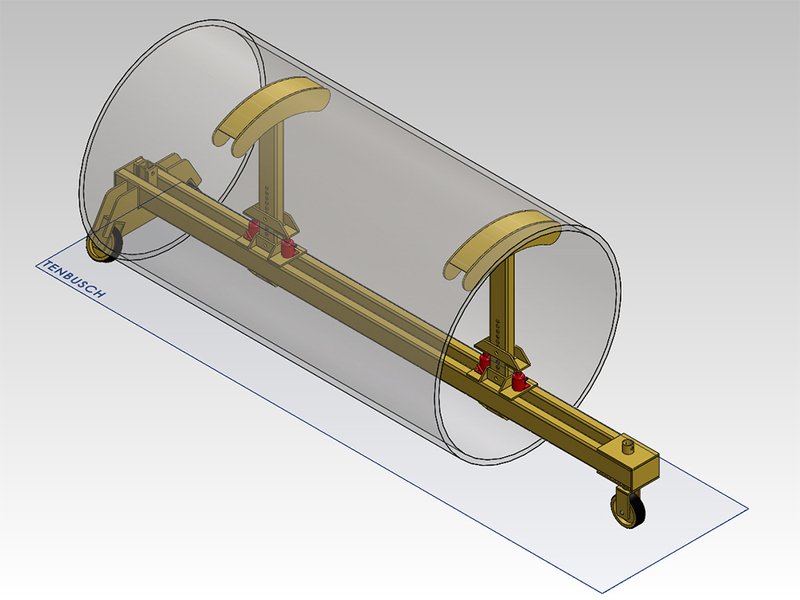 You can choose from pre-configured lubricant system models or custom designs. 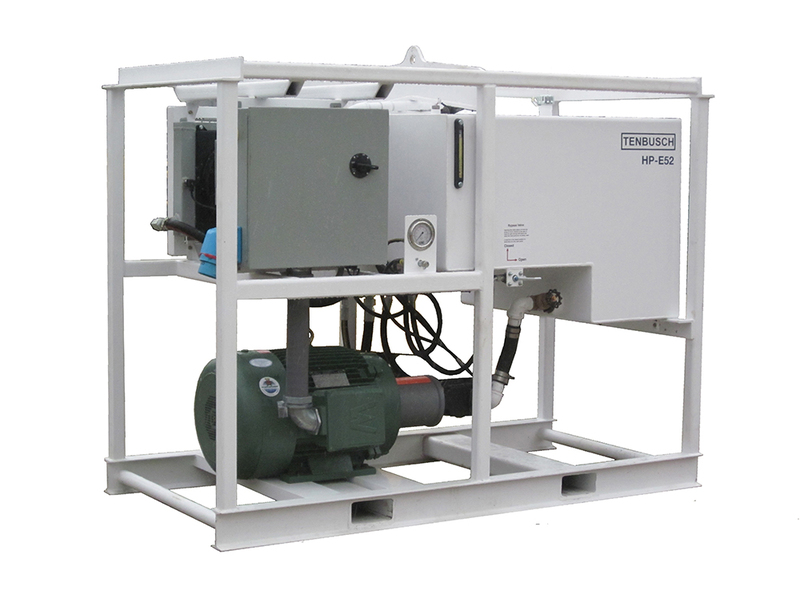 Integral power source units are available. 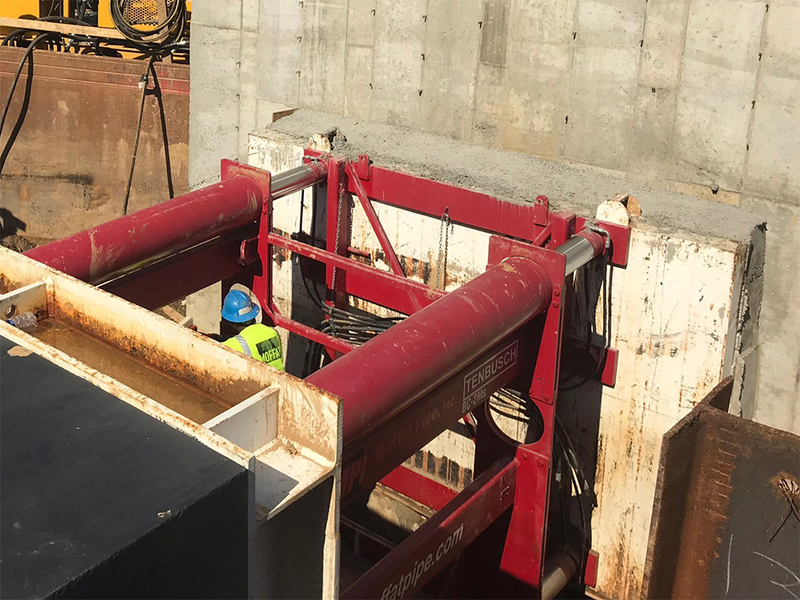 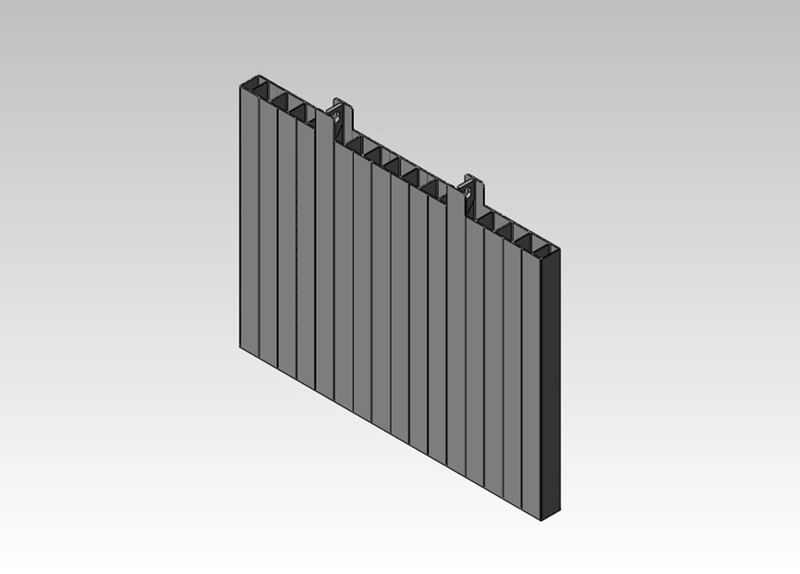 Backstops provide a large, portable, and easily transported mass which distributes thrust and minimizes deflection and drift of heavy equipment in underground applications. 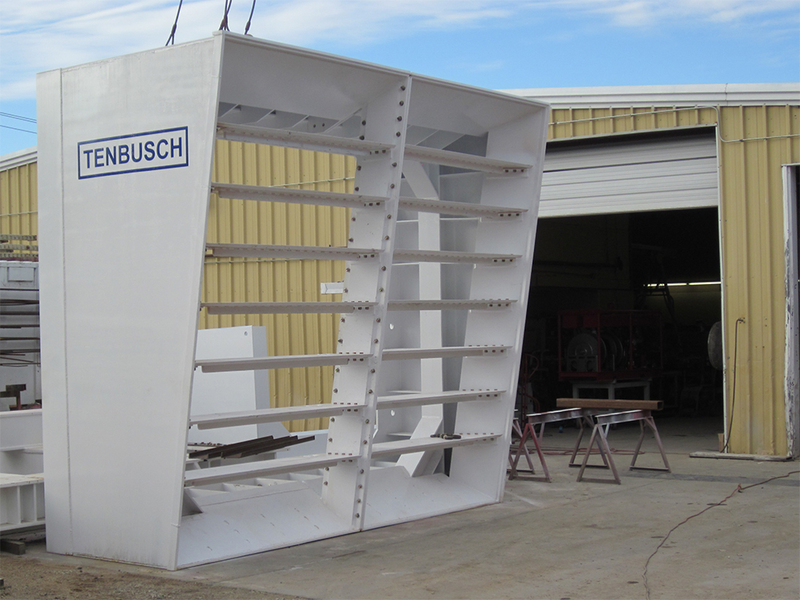 Tenbusch Inc. designs and fabricates custom equipment for infrastructure contractors. 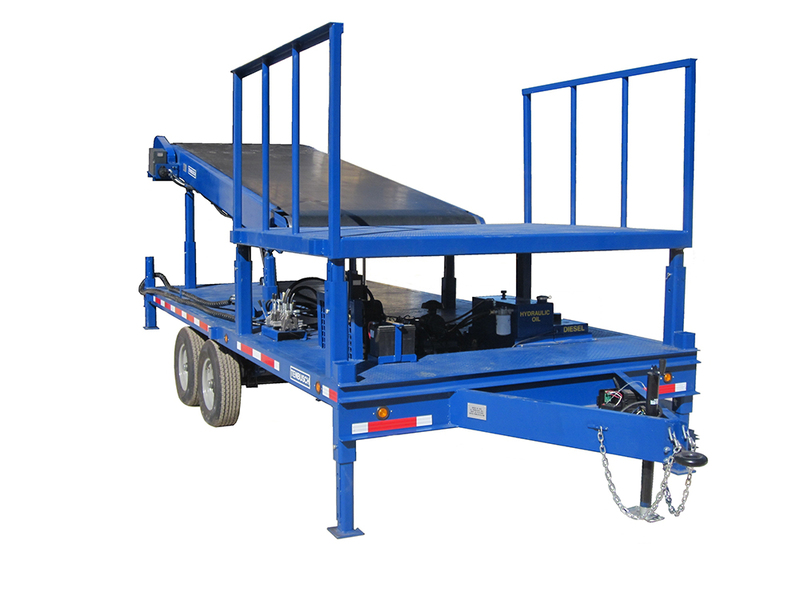 Typical equipment manufactured for infrastructure applications includes platforms and staging trailers for pipe installation operations. 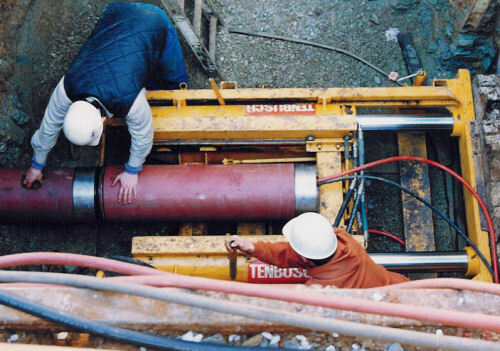 Guided boring tools such as a "line-up" bearing assembly. 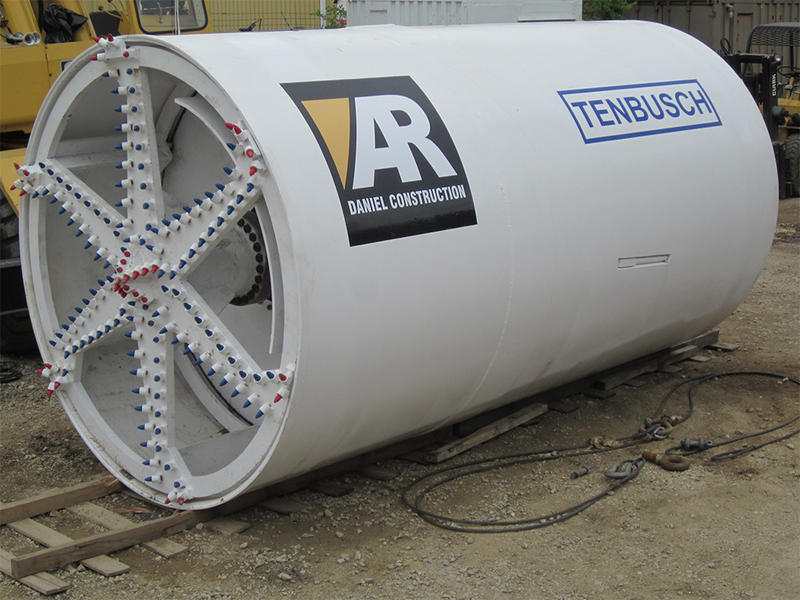 We can provide pipe adapters specifically suited to the make and model of the your boring machine and compatible with the pipe products to be installed. 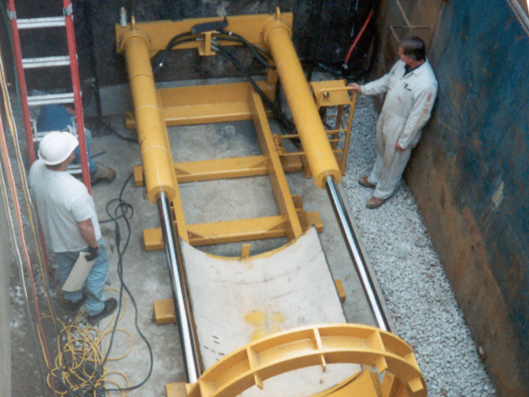 Additionally, our Line-Up Bearing Assembly is a tool used for Guided Boring / Pilot Tube Micro Tunneling. 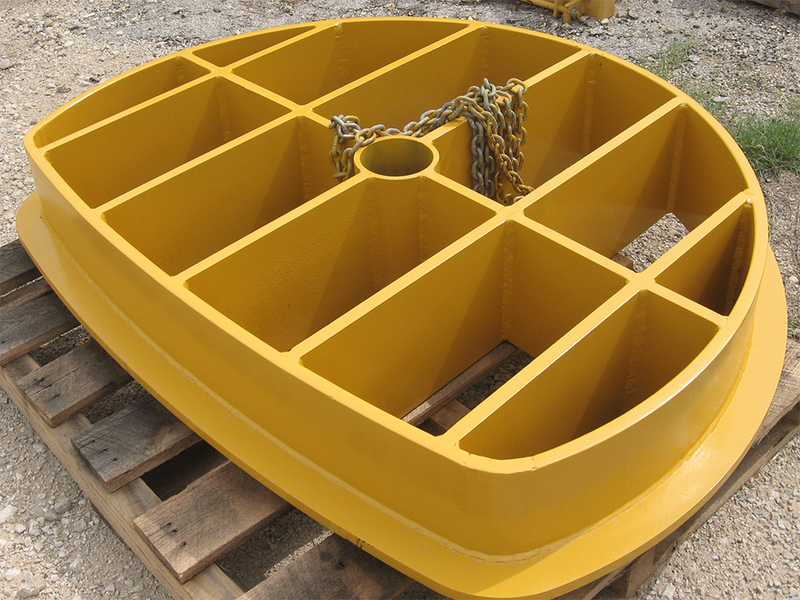 It bolts onto a large diameter cutting head, allowing the head and larger casing to follow precisely the line and grade of the previous installed smaller casing. 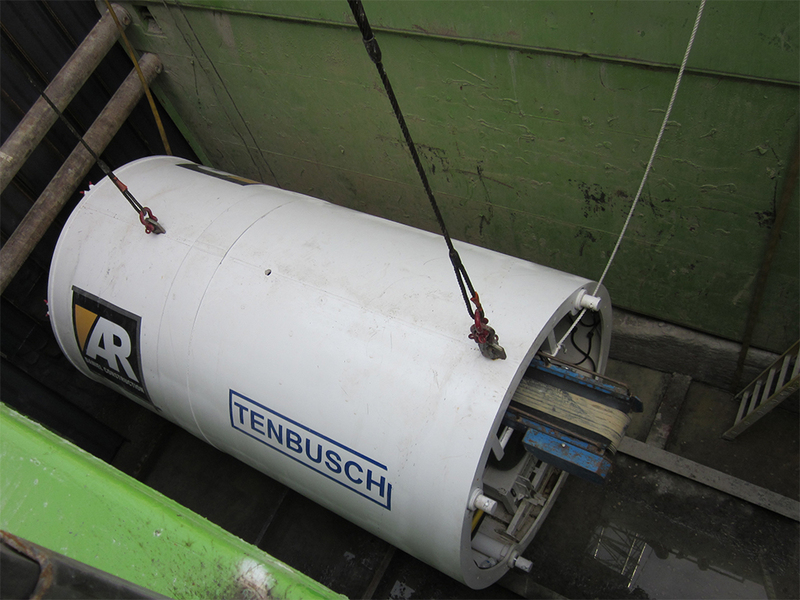 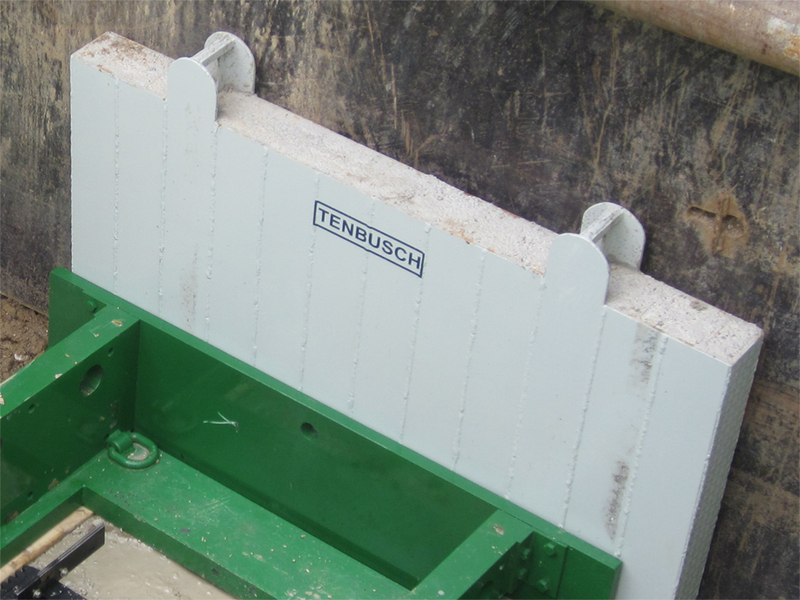 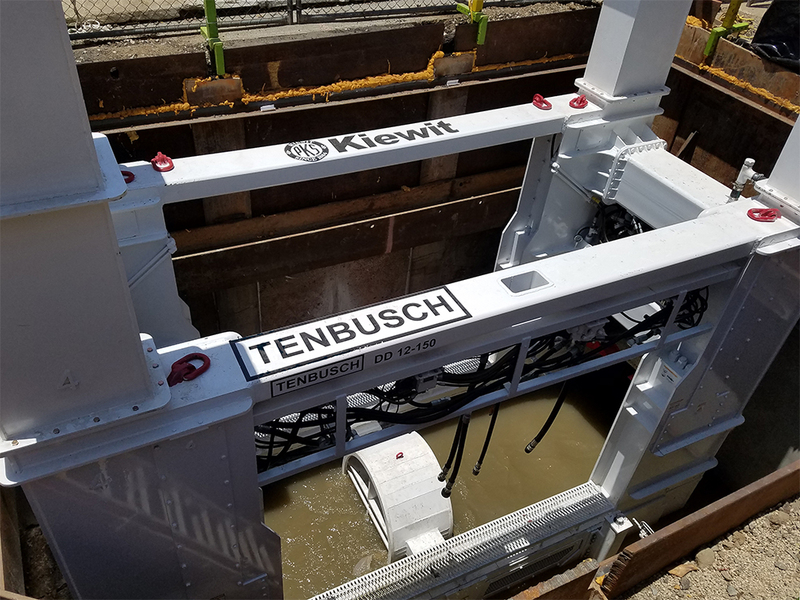 Tenbusch Inc. has developed the Tenbusch Insertion Method (TIM™) and equipment for trenchless pipe replacement. 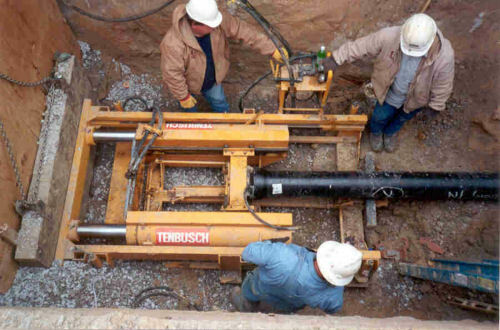 The TIM™ System allows local contractors to replace ailing underground infrastructure for both municipal and industrial applications. 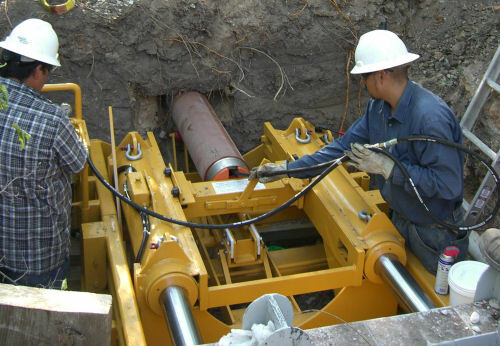 The TIM™ system is a unique pipe replacement (pipe bursting) method that jacks new rigid pipe in place of the existing deteriorated pipe.